Home DStar DStar Life Hack: Is the station local on the repeater? While listening to a QSO on a DStar repeater have you ever wondered how to know if the station you are listening to is local on the repeater or coming from a distant source (reflector, other repeater etc…)? BTW, I wrote this because I assume there are still people out there who are using repeaters instead of hot spots for their DStar operation. If you own an Icom ID5100 or an ID51 this is quite easy to do. Hit the CD key to show up the RX History. The ID51 requires a long press of the CD key. Now all you have to do is to observe the upper right corner of the display., if you see the GW icon like in my screenshot then the station is coming remotely, if the icon is not displayed the station is operating on the same repeater as you are. …examne the GW icon on the upper right. Here is a simplified explanation of what all this means. GW stands for Gateway. A DStar repeater usually consists of two parts, the gateway software and the repeater software. The repeater software mainly deals with the DStar data (Voice, GPS etc…) and keying the radio. The Gateway software connects the repeater to the outside world, i.e to reflectors, other repeaters etc. 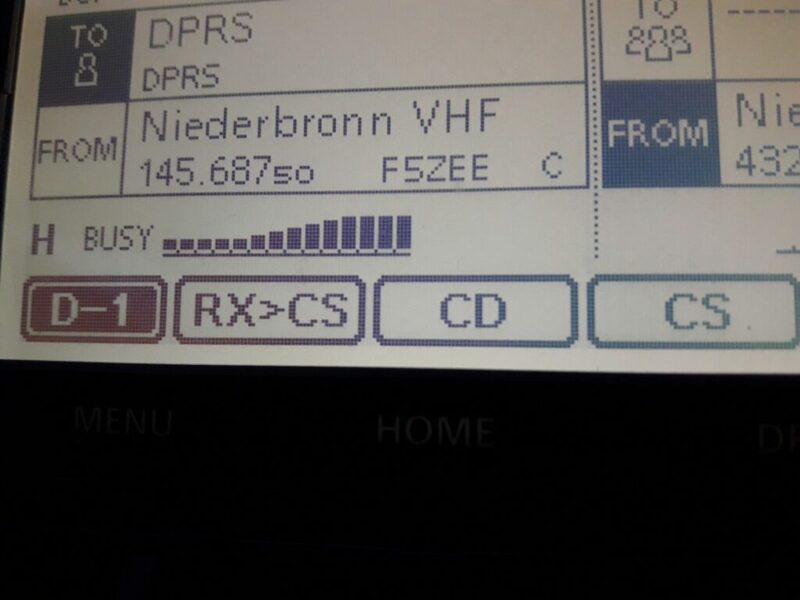 When the gateway passes a transmission coming from the network to the repeater it sets a flag that is then recognized by the radio to display the icon accordingly. dstar, gateway, local, repeater. Bookmark.